Bullying is nothing to take lightly. As a kid or teenager, it can be hard to stand up to a bully or tell someone you are being bullied. You may think no one will believe you or that the bully will just pick on you more. However, even if you are afraid, it is important to take a stand if you are being bullied. Otherwise, the bullying will continue, and that could lead to a lack of confidence, health problems or simply living your life in fear. Bullying comes in multiple forms: verbal bullying, physical bullying, indirect bullying and cyber bullying. However, there are a few strategies for dealing with bullying you can use no matter what type of bullying you're experiencing. Knowing these strategies can help you stop a bully in its tracks. TeensHealth from Nemours encourages you to tell an adult immediately about any cases of bullying. Often adults, especially teachers and students, know specific strategies for handling bullying. Some kids do not tell adults because they are afraid the bully with retaliate, but the adult does not have to let on that you were the one who reported the bully. Rosalind Wiseland, an author and educator who has dealt extensively with bullying, suggests that retaliating against a bully can cause the bullying to escalate. Calling a bully names, sending mean messages or hitting him back will only encourage him to do more to get to you. 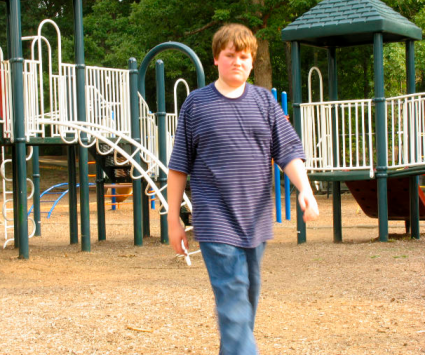 The Montana Office of Public Instruction advises you to walk away from a bully. By walking away, you take away some of the bully's power and let the bully know she is not getting to you. If you cannot walk away and are not being physically harmed, simply ignore the bully until you can walk away or get the chance to tell someone else about it. According to KidsHealth, getting a negative reaction can give a bully a sense of power and let her know the bullying is successful. Even though it may be hard, try to hold off on crying or getting angry with the bully. This may only encourage the bully to continue. Turn what the bully says into a joke. Surround yourself with positive thoughts. Find a witness for the verbal bullying. Ask a teacher to subtly pay extra attention when the bully talks to you in class or ask a friend to listen in when the bully talks to you. Make sure you are never alone. It is more difficult for a bully to strike with a friend by your side or lots of witnesses. Anticipate where the bully will be, and try to avoid the bully. If you are really hurt, tell the bully how hurt you are. Sometimes a bully doesn't realize the extent of his power and you telling him you're hurt can snap him back to reality. Spend time with friends or taking up new hobbies. If a specific group of people is excluding you, find a new group or do something else. You don't need them. Do not spread rumors about those who are bullying you. If you're being excluded, confront the bullies. Simply ask them what you did wrong. The answer may not be nice, but it may help you move on. Save any e-mails, instant messages, text messages or photographs that may have been used as cyber bullying. Block anyone who sends you mean or inappropriate pictures or messages. Witnessing bullying and not doing anything about it or choosing to agree with the bully can be just as bad as doing the actual bullying. If you see or hear about someone being bullied in any of the ways above, take a stand. Tell a teacher or parent about the bullying. Refuse to laugh at the bully or support the bully. Encourage your friends to take a stand against bullying. PBS Kids provides kids and teens with advice for taking an even bigger stance against bullying in school and in your community. Don't ignore a case of bullying. Talk to all parties involved privately. Talk to all involved separately. The National Crime Prevention Council also offers advice for helping parents recognize possible cases of bullying and help their children handle bullying. If you want more information on what bullying is and is not or want to learn ways to take a stand against bullying, check out the following resources geared to stomping out bullying among kids and teens. Kidpower offers multiple resources on bullying and abuse prevention, including ways to "face bullying with confidence." Stomp Out Bullying encourages kids and teens to take a stand against bullying and has gained celebrity support. Pacer's National Bullying Prevention Center features videos, stories and a petition for kids to sign to put an end to bullying. The Bully Project, based on the popular film, offers stories and stats to encourage kids to stand up against bullying. Bullying is a big deal, and it does not need to happen. A bully isn't just a bad friend or someone who doesn't like you: this person is a real problem. Don't let you or your friends fall prey to some of the larger dangers of the world of bullying. If you see something, say something so that you can actually get away from the bully!